15-Days Faculty Development Programme for college teachers concluded with the valedictory session today at M M Modi College here. 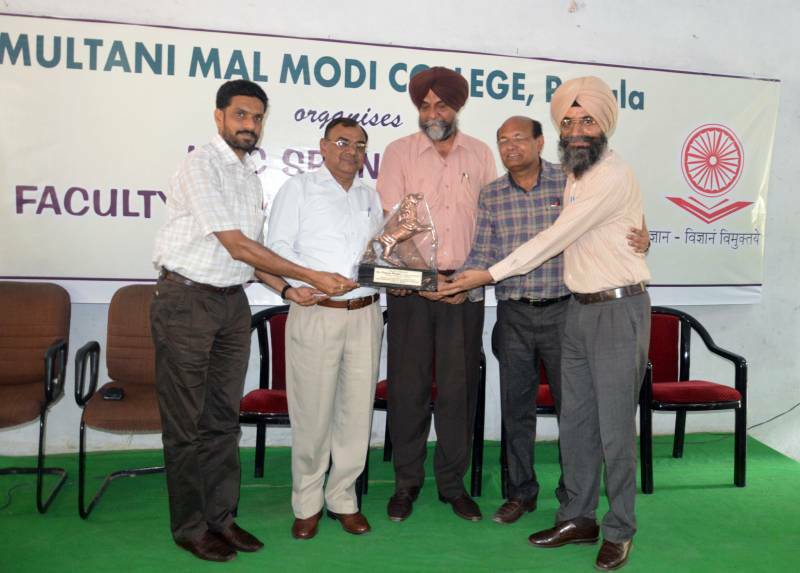 Dr Devinder Singh, Registrar, Punjabi University, Patiala was the Chief Guest on this occasion. 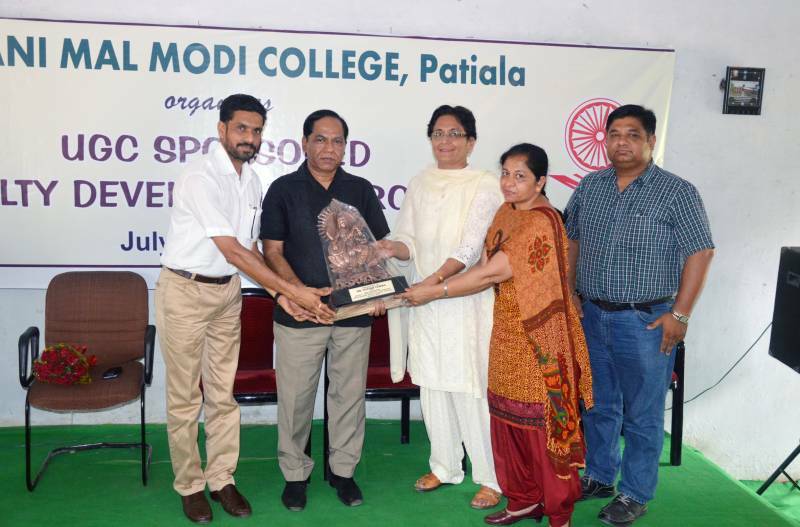 He lauded the role of M M Modi College, Patiala in making the University proud of winning MAKA trophy and extending co-operation in conducting the UGC-NET test and other examinations. He also distributed the certificates to the participating faculty members. 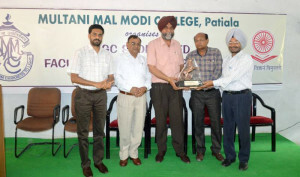 Dr. Pawan Kumar Singla, Controller (Examinations), Punjabi University, Patiala was the Guest of Honour on this occasion. He appreciated the initiatives the college has taken in organizing Faculty Development Programmes. He also talked about various reforms which Punjabi University has taken for improving the examination system. The College Principal, Dr Khushvinder Kumar, while inaugurating the Programme, emphasized the need to equip the teachers to align their capability to deliver according to the changed academic scenario. He stressed the need to make class room teaching student-centric because over the years the temperament of the students has also undergone drastic changes and any teacher who doesn’t read the pulse of the students fails to establish rapport with them. Dr. Satish Kumar Verma, Dean, Language Faculty, Punjabi University, Patiala while speaking on ‘Communication Skill’ said that the role of Communication Skill cannot be over emphasized because this skill makes human-beings different from other species and only effective communication can ensure the growth of collective wisdom. He shared his personal experiences where effective communication has converted adverse situations into happy moments. Dr. Ashwani Kumar Bhalla, Govt. College, Ludhiana spoke on the topic of ‘Innovative Classroom Transaction Practices’. He talked about various qualitative aspects which teachers must follow to make the students interested not only in curriculum but also to study related material to make their knowledge both wide and deep. Prof. Jasbir Kaur Chahal and Acharya Balwinder Kumar from Govt. College for Yog Education and Health, Chandigarh laid stress on maintaining physical and mental health to keep the stress under control. Prof. Baljinder Kaur conducted the stage. Prof. Shailendra Kaur presented the report of the programme and Prof. Sharwan Kumar presented vote of thanks.